A few days ago I left a comment on Rob and Trish's blog Synchrosecrets. I mentioned how I had a vivid dream about an old man handing me a book with an orange cover called the The Bible Code . In the dream he told me to read it as it could be important. I must admit - though I intended to look for the book - I thought no more about it. Yesterday I went to my local town and while there went into a shop called Poundland - it's where everything costs £1 (about $1.40). I was wandering round while my wife was in another store. And there it was - a book with an orange cover and titled The Bible Code 2. So I bought the book. It's an interesting enough book but the facts aren't something I can easily verify for myself. The gist is that within the Bible there is a code and these can be deciphered from the original script. "At 8.48am on September 11, 2001 I was awakened by the sound of an explosion that changes the world forever. What I saw happen with my own eyes on September 11, 2001 was encoded in the Bible 3000 years ago. It was not the terrorist attack that really shook me. It was what the Bible Code predicted was yet to come." Think of that as you will. Would you have rushed to your computer if you had witnessed such an event nearby? One of the Codes states that our 'DNA was brought in a vehicle' and that the code of life was sent to Earth in a 'spaceship'. Though to many this may seem far fetched, it is a possibility that our beginnings did come from outer space or from another planet. Even some scientists hold such theories. 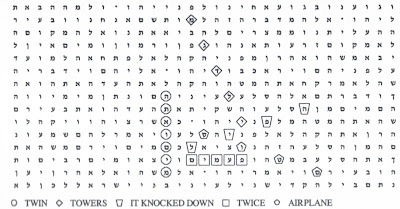 The Bible Code also shows the words 'Time machine' and 'It might come at any time.' Could this mean a spaceship may arrive - from the same 'people' who brought the Earth's first DNA? Is this the real second coming? I'm not sure what to make of the Bible Code mainly because I have to take what is written on trust. I like to be able to verify things myself if at all possible. One thing though the book has made me want to do is to read the Bible again to see what I can discover. Not from a traditional Christian point of view but to see what I can make of it all. Myths? Legends? I know there are some 'truths' within the New Testament but the Bible in general has been amended and altered through the years to suit the people of the time. But there could still just be something of the original version remaining that is extra meaningful. I remember reading about the Bible Code in a newspaper sometime last year. At the time I wasn't over impressed as the examples they showed were all in English. With the Bible translations I didn't see how this could happen. I see your illustration is in Hebrew(?) or something similar which makes more sense. You found it! 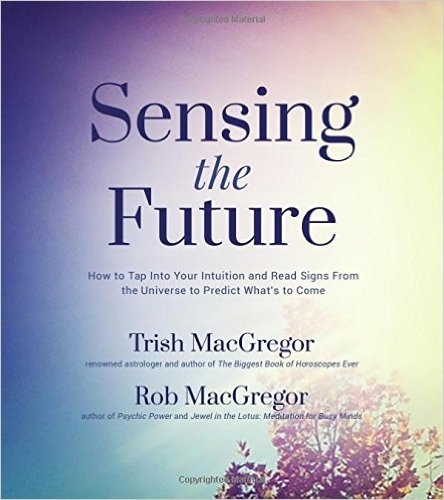 So your dream was precognitive. 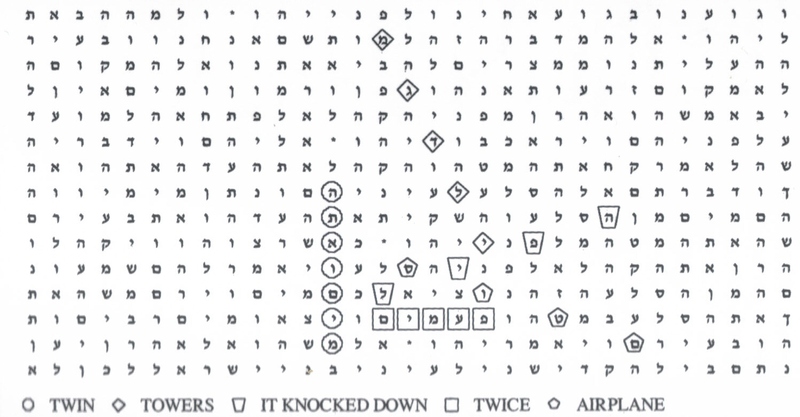 And I didn't realize a Bible Code 2 had been published. Like you, I need to verify things on y own, too, but I've always been fascinated by books like these. Thanks for the mention, Mike. How cool it is that you found the book. I love when this happens, and truly think the universe means for us to have all the answers if we are willing to listen. Not sure how this book figures in...but it sure peaks my curiosity...and I'll need to find a copy. Lucky for you to find it in the Poundland. What a clever book shop. When Will The End Of The Earth Come?